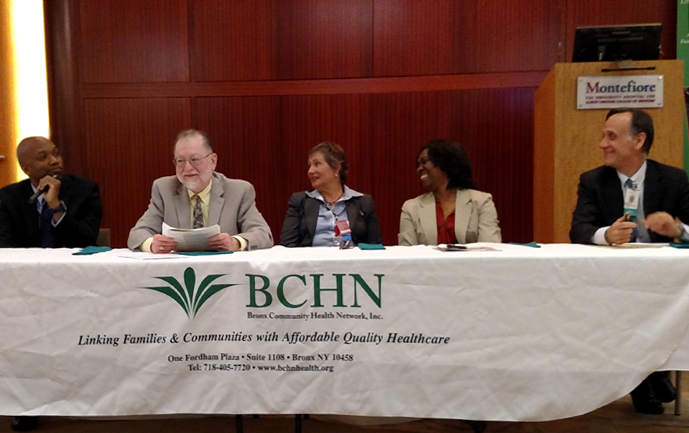 BCHN News: 2016 BCHN Symposium & Annual Meeting: "Coordinating and Integrating Oral Health with Primary Medical Health Care"
2016 BCHN Symposium & Annual Meeting: "Coordinating and Integrating Oral Health with Primary Medical Health Care"
The Bronx Community Health Network, Inc. (BCHN) Board of Directors. 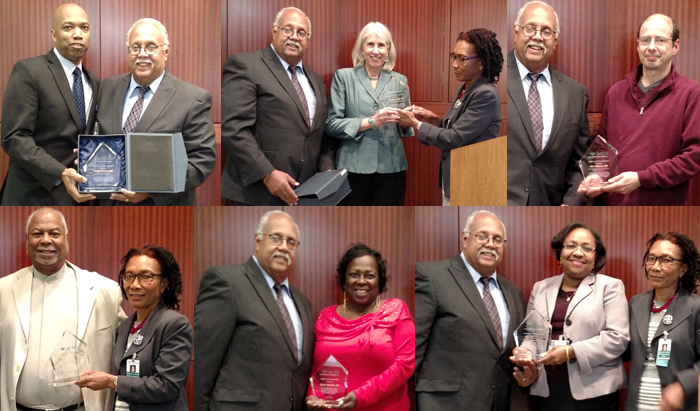 The Bronx Community Health Network 2016 Symposium & Annual Meeting was held on May 24 at the Montefiore Grand Hall. This year's theme was "Coordinating and Integrating Oral Health with Primary Medical Health Care." A panel discussion was moderated by Jay Izes, MD, BCHN Chief Medical Officer/Quality Improvement Director. Dr. Jay Izes moderating the "Coordinating and Integrating Oral Health with Primary Medical Health Care" panel. * Julie Kazimiroff, DDS, MS, FAGD, FACD, Cert.Ed. 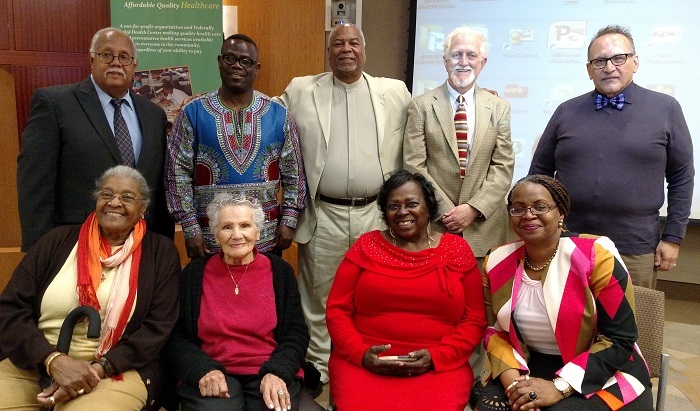 Community residents were recognized with awards in multiple categories. * Peter Marcus, MD, Family Physician, Claremont Family Health Center, Acacia Network/PROMESA Systems, Inc.